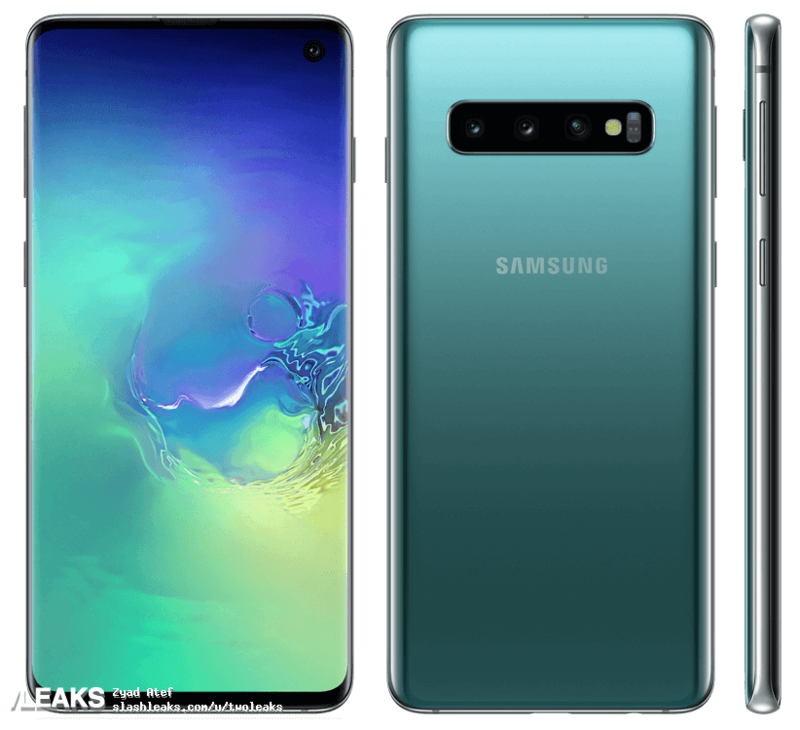 Samsung’s next phone launch is still weeks away, but there have been so many leaks and rumors surrounding the phone that we already have a pretty good idea of what’s to come. We’ve amassed a collection of all the biggest leaks are rumors so far so you don’t have to. Being the 10th in Samsung’s Galaxy line, we’re expecting a significant redesign. Most notable is the super thin bezels and use of a ‘hole-punch’ display – a notch alternative that, to this reporter, looks a lot classier. This should maximize screen real estate without resorting to a pop-up camera with questionable durability. We’ve already seen this design show up on various devices, including the Honor V20 and Samsung’s own Galaxy A8S, but the Samsung S10+ will be the first to incorporate two cameras in such a camera cutout. 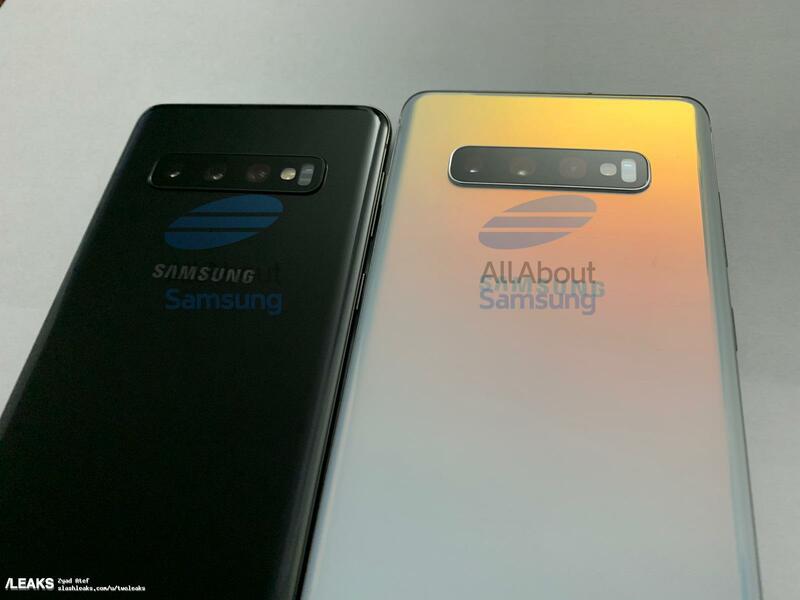 There will be multiple colors in tow, and Samsung appears to be adopting a gradient color scheme as popularized by Huawei, although the effect seems subtler according to the leaks we’ve seen so far. 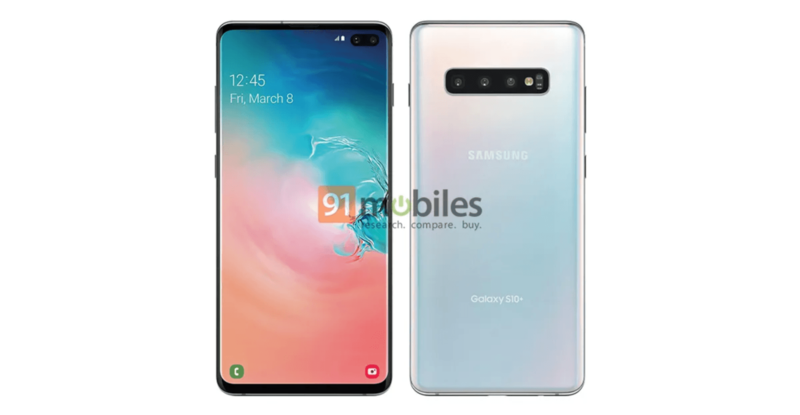 The device is expected to launch in three sizes: a Galaxy S10 E (or ‘Lite), the regular S10, and S10+, ranging from a 5.8-inch display to a 6.4-inch one. There’s also a rumored super-premium, 6.7-inch Galaxy S10 X, which would be Samsung’s first 5G phone and is purported to have some crazy specs. As usual, Samsung is using different processors for different regions. The devices will use a Snapdragon 855 in the US and Samsung’s own Exynos 9820 elsewhere. This time around, Qualcomm seems to have the lead. Early benchmarks suggest a massive jump from the Snapdragon 845, enough to virtually close the gap with Apple, which has dominated performance for a while now. The devices will also likely come with 6 and 8GB of RAM configurations. The smaller S10 is expected to come with a 6.1-inch display (compared to last year’s 5.8-inch panel). It’s likely this increase is likely is mostly a matter of reduced bezels rather than a significantly larger body. Similarly, the S10+ is getting an upgrade from 6.2 to 6.4 inches. Both devices are expected to sport a fingerprint reader under this display, similar to to the OnePlus 6T, although with Samsung’s proprietary ultrasonic sensor. Storage wise, we’re anticipating a starting configuration of 128GB. Given last year’s Note 9 was available in a 512GB configuration, it seems a likely option for the S10 as well. What’s more, Samsung recently announced it had begun manufacturing 1TB eUFS drives – the kind of storage used in smartphones. Couple with a MicroSD card slot, the S10 can be configured with more storage than most laptops. It seems Samsung is going all out on the cameras this year. We’re expecting three cameras on the rear, in a configuration like Huawei’s Mate 20 Pro or LG’s V40: wide, ultrawide, and telephoto lenses. The S10 is expected to come with one front facing camera, while the S10+ will likely have 10; we assume the second one is an ultrawide-angle, a la Pixel 3. That said, the biggest changes will likely come in the sensor and processing, as the company has lagged behind Google, Huawei, and Apple in recent years. Despite new features and slimmer chassis, Samsung is expected to pack its biggest batteries yet, with leaker Ice Universe proposing a 4,100 mAh for the S10+ (compared to 3,500 on the S9+). We haven’t seen a firm rumor on the smaller S10’s battery, but it’ll likely be larger than last year’s 3,000 mAh unit. Better yet, Samsung is planning to reduce the time it takes to top up, including speeding up wireless charging. On the software front, Samsung has already revealed its new ‘One UI.’ It’s meant to provide a more minimalist look while making it easier to use its phones one-handed. While you can already access the new UI on Samsung’s current phones, the S10 will be the first time most people are exposed to it. On the plus side, the rest of the specs seem on par with its larger siblings. It’s still expected to come with a Snapdragon 855, 6 GB of RAM, 128GB of storage, and a 3,100 mAh battery. Samsung has a busy schedule up ahead, and this isn’t even including the foldable phone we already know is coming. But that’s a story for another article. As for pricing, it’s safe to say the phones will be expensive, but we’ve seen numbers all over the place. 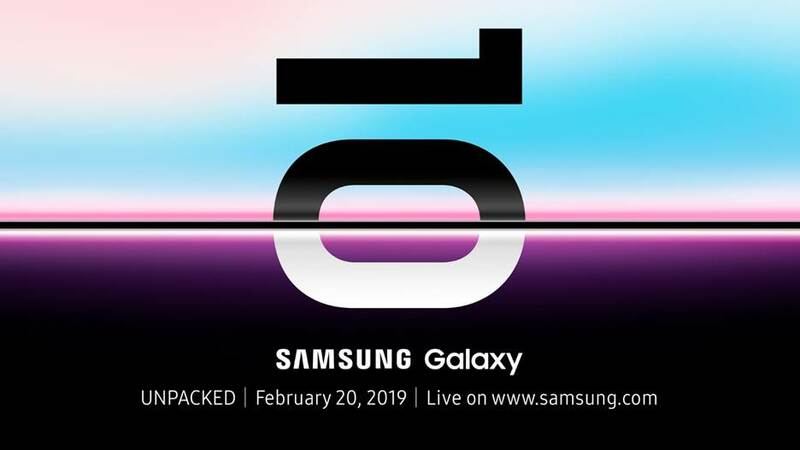 That said, a Gizmodo UK leak from December, which correctly predicted the February 20 launch date, suggested that the S10E, S10, and S10+ will start at £669, £799, and £899, respectively. UK prices don’t directly translate to US prices, but, I think $750, $900, and $1000 are a good bet given past prices.